Sisu is a pioneer in the Nordic market in the development of heavy duty vehicles. Sisu’s strengths, in addition to its know-how, are in its flexibility and Customer service. Continuous staff training and co-operation with educational institutions in the field en-sures the competitiveness also in the coming years. Trust gained in the local market creates the conditions for the development and expansion of export operations. As a result, Sisu is also investing strongly in project planning and services. In order to keep on progressing, we are ready to continue to meet the needs and requirements of our customers. Development program in Sisu Auto continues – production of trucks back in-house. Sisu Polar has been nominated as the Truck of the Year 2012 in Finland by the leading Finnish truck magazine ‘Auto, tekniikka ja kuljetus’. 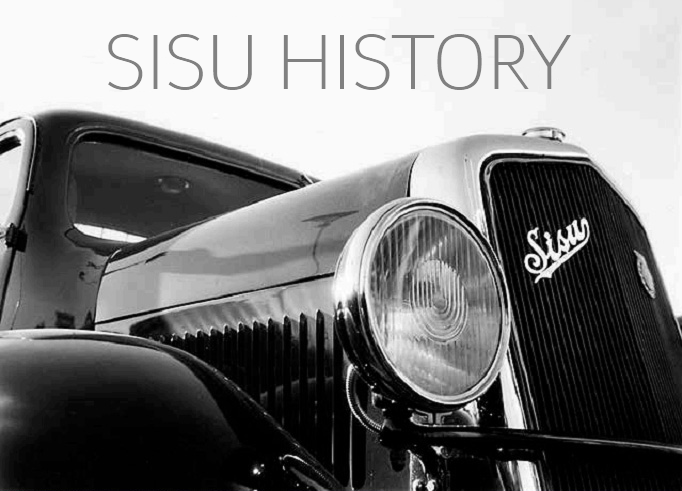 Sisu celebrates 80 years as a company and trademark. Suomen Autoteollisuus Oy passes into the ownership of Olof Elenius and Timo Korhonen in July. Sisu Auto Group comprises three complementary corporations: Sisu Auto Trucks Oy, Sisu Defence Oy and Sisu Engineering Oy. Sisu Auto and the world’s largest commercial vehicle manufacturer, German Daimler AG, sign a contract on using Daimler-manufactured Mercedes-Benz components and vehicle engineering in Sisu trucks. The new range is introduced in November and called SISU Polar. Veho Commercial Vehicles is in charge of Sisu sales in Finland. The Finnish Defence Forces order 60 sturdy, armoured, four-axle SISU 8×8 E13TP cross-country trucks. Sisu Auto begins strategic co-operation on SISU trucks with Finnish engineering company Komas Oy and outsources assembly operations to it. The Finnish Defence Forces order 232 SISU 4×4 models. Sisu Auto Trucks wins an international competitive tender for the delivery of 91 timber truck-trailer combinations and 12 gravel trucks to Russia’s biggest international forest industry company, Ilim Group. The Carrier transportation vehicle is introduced at the Metko exhibition. The first generation E-series equipped with Sisu’s own cab is introduced. Disconnection of the last axle is taken into serial production. As the only manufacturer Sisu introduces a 460mm high frame with integrated body components replacing the use of sub frames. Production of the 5-axle truck is started. Sisu Racing joins the FIA truck racing, winning the European championships in 1991, 1992, and 1993. Oy Suomen Autoteollisuus Ab celebrates its 50th anniversary. Oy Sisu-Auto Ab is adopted as the new name. The S-series, which will later be awarded is introduced. The first model is SK 150. The first prototypes of military vehicles, Pasi and Masi are made. These vehicles gain large-scale success sercing UN peace forces worldwide. Export of truck cabs is started. Sisu introduces the rigid frame concept with closed profile cross members. As the first European truck manufacturer, Sisu introduces reinforced plastic hoods and front mudguards in bonneted trucks. The off-road military truck KB-45, is introduced. Over 500 units are produced until 1982. The Sisu KB-112 is the first European truck equipped with a hydraulically tipped cab entered into serial production. Sisu de Colombia Limitada delivers the first 33 Kontio- Sisu vehicles to Colombia, starting large-scale export to South America. The legendary SISU bogie lift is introduced in a SISU 6×2 truck. The successful concept is still in production. The first factory-ready Sisu trucks with pickup and tail lift are manufactured. Export to Estonia is launched. O/Y Suomen Autoteollisuus A/B (Finnish Automobile Industry) is founded and a competition on inventing a name for the make was won by the Finnish name SISU. Serial production of the vehicles commences. Tor Nessling is appointed managing director and for four decades, Sisu develops and produces trucks superior to its competitors under his guidance.